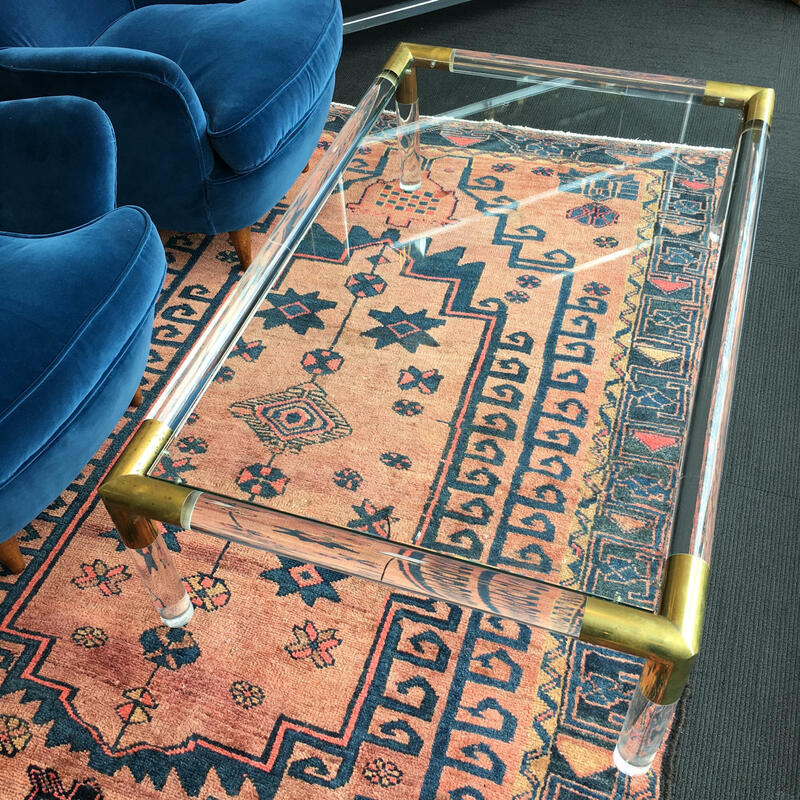 French 1970s tubular perspex coffee table with brass accents and clear glass top. A great piece with a clean, modern feel. 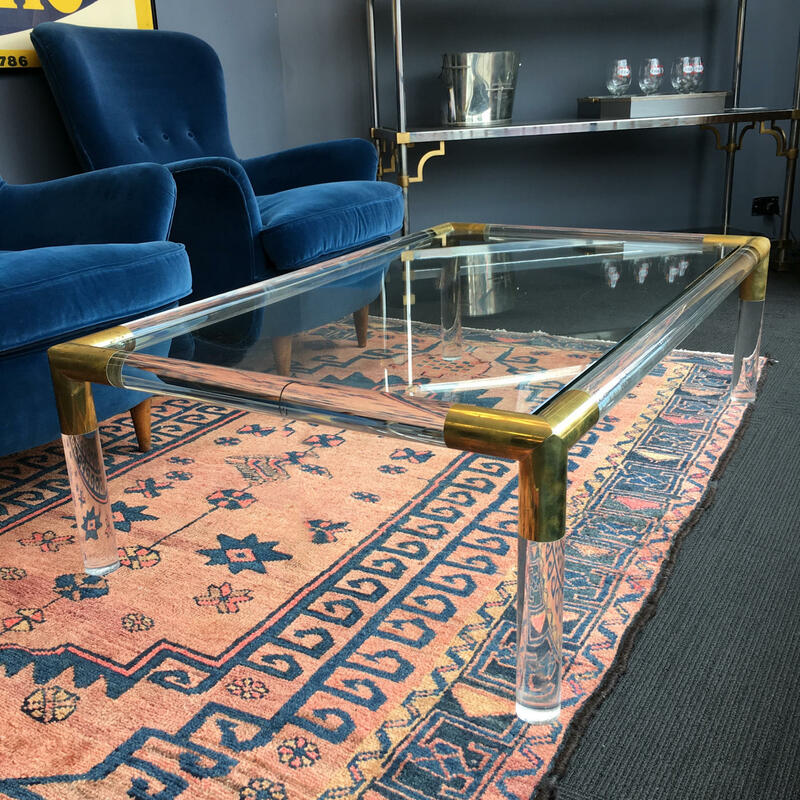 78cm Deep, 120cm Wide, 38cm High.